The following passage is from a lecture given by Yamaoka Tesshu to his students. In it he tries to explain the process of Shugyo. There are three methods the carpenter adopts when using his plane. They are rough planing, medium planing and finish planing. To practice rough planing make your body firm, stretch out the stomach and brace the lower trunk then with equal strength in both arms plane to a rough finish. In other words use the strength of your whole body without relaxing it. If you do not use sufficient effort you will not manage to rough plane. Next there is medium planing. With medium planing it is not merely a question of using all your strength. You must plane the surface flat by adopting a natural modulation of strength in the hands. This is to prepare it for the finish plane. However without the experience gained from rough planing it will not be possible to succeed with medium planing. Finally there is finish planing. This time the wood that was prepared by earlier medium planing is made even smoother and free of flaws. To do this you must plane with one single stroke at a time, from one end of the timber to the other. If your heart is not calm when you make this single stroke, you will score many flaws and faults into the wood and if there are flaws then the timber has not yet been finished. For the carpenter in his use of the plane this is the most important stage. First of all you must be in possession of mind, body and technique. For the carpenter mind, body and technique equals plane man and timber. If the man thinks to plane the plane will catch; if the plane is thought to plane it will rise off the timber. 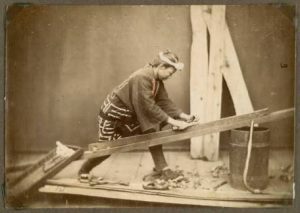 To possess mind, body and technique is represented here in the action of one place of plane, man and timber. If this is not mastered thoroughly then however much you train to be a carpenter you will never plane timber well. In order to become proficient at planing timber the most effective way is to begin training in the way of rough planing. If you can do this well then you can also manage medium planing and finish planing. However, in order to finish plane well there is a secret. Although I say it is a secret, actually it is nothing so special. Just put mind, body and technique out of your head and plane away. It is by doing it in this way that you do a good job. And here, without being aware of it, you will have mastered the secret of finish planing. There is something quite interesting about this secret, I think. Before you have mastered this for yourself, nothing that has been taught you will be of any real use. Thus, there is no other way than to try to discover it for yourself. No matter what you do, there is no way that anyone can communicate this to you. While many run around seeking the fast way to technical invincibility, Tesshu would argue that if you haven’t found it within yourself, it can never really be yours. Train the body hard, overcome fears and narrow mindedness remove opinion and ego – Always seek the truth within the basic movements, destroy the ego, uncover the truth. When you listen carefully to body mind and spirit, the true potential as a human being can be discovered. 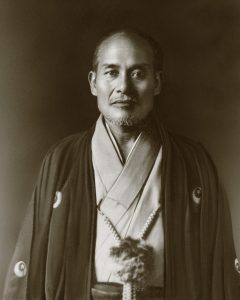 A movement away from the view of harmony that is technical in nature represented by ki ichi hogan secrets of technique towards a greater understanding that true harmony comes from nothingness, this is any number multiplied by zero being zero. Zero being the ability to nullify all technique, zero being the realm of no enemy, no self. In emptiness all things are as they should be, nothing added nothing taken away. The idea of enemy arises in the self, this idea of doing (even intent to do) creates duality. A person that is in harmony with the universe therefore does not need to create harmony with another person. All principles in the universe act without conscious intent to their action. We train the body to a point of realisation of this fact, then represent this fact in technique. Training in, aikido is training to build an “Aiki body” (founders words, not mine). First we train to get strength in the pelvis, legs and hips. This is in seated technique. Then we train body shapes through kihon waza and weapons technique. Training correct shape helps us to realise how to relax. We do all this to create an immovable body. It is from this body that the mysteries of Aikido can be revealed. Maintain one point – this is maintaining the centre of gravity in relation to our movement, both dynamic and static. I have always said a good test of this is looking at the shoulders, and if the scapula is pulled down towards the sacrum, and relaxed, and also the gluteus, if the but muscles fire, they do so to arrest movement from the central plane, ie, they fire to keep balance. You should be able to do all technique, at any point while giving yourself a nice, relaxed but massage. Keep weight underside – this secret is in the feet, legs and waist (tanden ball), and the relationship of the human body to gravity, the source of all power in the physical realm. It is in this realm we can get an understanding of the body functions of empty and full, open and closed and many of the others that I have taught. Relax completely – not possible without understanding the previous two. This relaxation is not a “polite” type of relaxation, but one that permeates the entire fabric, when one is connected, the attackers feels the ground through the frame, not the frame. It is not enough to think you are relaxed, you have to know/experience this feeling. Within this feeling, and only within this feeling can we become “invisible” to the attacker. You cannot resist what you cannot feel. Extend Ki – this is harder. It has to do with mind, intent and relaxation. This feeling is created through ukemi, and is linked absolutely to the last one. Through relaxation in ukemi we experience the ability to absorb, ground and redirect energy. This comes from Ki extension and connection, centre to centre. Anticipation and self preservation have nothing to do with this connection. Intention also has to do with what you intend to do to yourself, after all, true Aikido is not doing anything to your opponent, actually, in Aikido there should never be an opponent. Extending Ki is not and has never had anything to do with “Jedi mind tricks”. exist, and that’s the end of it! Knocking someone over by glaring at them, for example. So let’s not fool ourselves here. Let our actions and our words be in harmony. If you can speak about it, yet cannot produce it, you don’t understand it. Don’t tell me about mind body integration, show me your mind body integration. “We must practice, but not let our techniques turn into an aiki dance. It may be okay if we “dance” at the beginning, but gradually, it has to become an expression of budo. 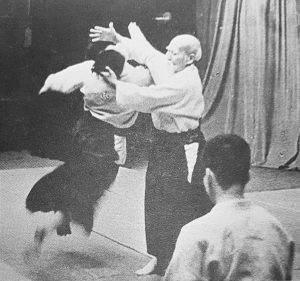 Ueshiba Sensei expressed aikido in a budo way. Religious people express aiki in religious terms. Aiki is expressed by singers in songs, and artists in their art. Aiki pervades everything. We merely express things which unite us with the universe. I think this is as it should be……………. However, those who want to become instructors cannot reach that level unless they train hard. 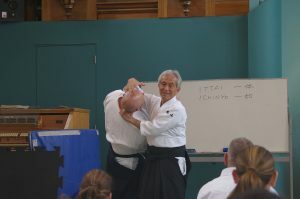 Just as bujutsu (martial techniques) teach shiatsu understanding, destructive intent teaches Aiki healing intent. One teaches wisdom about destroying and healing the body, the other teaches wisdom about destroying and healing the spirit. 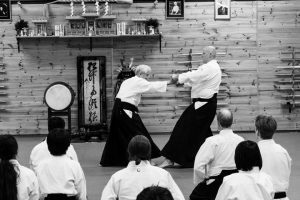 These concepts and wisdoms are intertwined, and together they bridge the physical training aspect of Aikido to O Sensei’s vision of healing the world. That know the true heart, see the true self. I wonder sometimes where the art of Aikido veered of the path the founder set for it. Truth is traditional Japanese arts cannot be studied in a western way, they weren’t designed to be, and were never intended to be. Knowledge and wisdom come from two different places. My focus in teaching this year is ukemi. Below are many quotes from students of the founder. Read them to understand what he meant, and how learning in Aikido was supposed to be transmitted. The art of Ukemi, true ukemi (this is not rolling, falling down, break falling or “performing”) is the path to understanding the hidden. It is linked to tanren(forging or tempering the body) and misogi harai (purification of the spirit). There are not two ways, his game means his rules………… Enjoy! The “Riai” (principle/truth) (this is what is “hidden” (Ura) not what is taught) must be the base which gives coherence and reason to all things. If we were to analyze or breakdown the Riai like a scientist might, we can call the things that we find manifested on the physical surface (omote) “Ho”, [that is to say a rule or method or law]. Aikido is one such Ho. It is one of the subtle laws of the heaven-sent truth of Takemusu Aiki (literally Bu generating Aiki). We can also call it the “Way of Accord between Heaven, Earth and Man,” and therefore it can be described as the Way of reconciling the myriad essences and their multiple manifestations. 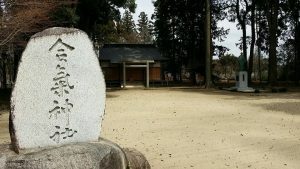 You must know that Aikido techniques are a Way of Misogi, [that is, of ritual purification] of the body and the spirit/mind (kokoro) and a way of training. That fact is what makes us aware of the laws of the universe (ie, training as misogi Harai to purify body is what makes us understand universal principle, not thinking or chatting or intellectualising, but training) – and that same fact is the core truth of the workings of the Universal. For these reasons once you have mastered this Aikido you will understand the Universal Rational and also come to a good understanding of your own self. For example, if you move a sword you put into that action your entire self and unite with the whole universe for that movement. In Aikido there is a subtle and mysteriously clever way of swordsmanship. “Perverted Sword of Injustice and Wickedness”. But just what is this. fundamental morality of humanity? It is keeping to the virtues of fidelity, honesty and exemplary behavior, charity of heart and faithfulness. It is to make truth, joy, and beauty the foundation by which you protect and preserve them. Then by making one’s very best effort, to bring forth virtue. We must strive in the direction of becoming more and more wise and sharp of sensitivity. It is necessary to have an absolute and all encompassing sincerity in all things. In short we have to proceed toward the “Way of Accord” in the spirit of Love congealed of Love. In order to attain this sincere mind and foster it, we must start by over-coming ourselves! 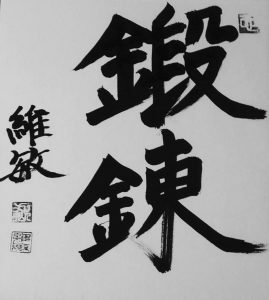 The Nelson kanji dictionary defines the two kanji that make up the word “rial” as meaning “reason,” or “ri-“ (principle, truth) with “coming together, meeting, or harmonizing (“-ai”). 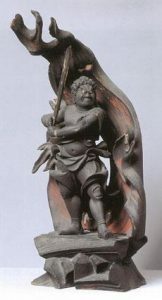 In other words, in budo, riai is the underlying principles behind a technique, it is in essence a realisation, of the “truth” hidden inside the form. He never explained what he did, he just did it! This is what I mean by magician. He did it and if you couldn’t discern what he did, there was no way to figure it out. He never explained anything but he left hints which were very difficult to discern because of the way he stated his ideas in very short phrases that no one could understand. I saw a tape of Shioda Sensei being interviewed in England. He was with O-Sensei for ten years from about 1930-40, he said O-Sensei never explained once in that 10 years as to what he was doing! He wasn’t a teacher in the sense that he was teaching. The Japanese may look at that as teaching, but in the western sense it isn’t. You had to intuit what he was doing and saying, read between the lines, so to speak. Henry Kono: O Sensei did not hide anything, everything was unveiled right in front of us but we could not see it. In fact, it has always been the norm for great masters of martial arts to take their knowledge with them to the grave. Ueshiba was no different. Alan Ruddock has a video of Gozo Shioda Sensei where he says that never, during the 10 years that he spent with O Sensei, the master explained what he was doing, not a single time. Shioda had to interpret everything by himself. We were trying our best to reproduce what we saw him doing but with very little success. Besides, it is one thing that we could not reproduce what he showed but he, himself, constantly refused to explain us what we were not getting. If you did not get it, he would simply do the technique again and say “look carefully!” but never would he give any explanation. As surprising as it sounds, this was actually very typical of O Sensei’s way of teaching and to a larger extent, it was common to all the great Japanese masters of Budo. These men always took their secrets with them to the grave and O Sensei was no different. I remember an interview of Gozo Shioda Sensei that he gave in England a few years ago where he explained that during the 10 years he stayed with O Sensei; never did he receive any explanation from the master about what he was doing. Therefore, Shioda had to patiently interpret everything by himself without any other form of instruction than watching his master demonstrate. Jujutsu. Techniques like ikkajo, nikajo, shihonage… There wasn’t any iriminage then, only techniques which, on later reflection, can be considered to be the antecedents of iriminage. Iriminage was originally developed by O-Sensei. Sensei’s techniques were always changing. Techniques which had their origin in Daito-ryu were transformed into aiki, and as he trained himself, gradually his techniques changed as well. That’s why the techniques Tomiki Sensei learned, the techniques we learned, the techniques Shioda Sensei learned, and the techniques Murashige Sensei learned before that, were all completely different. Sensei sometimes said to me, “Shirata, my techniques have changed. Look!” So I watched him. They became circular in a way completely different from his earlier techniques. Although some of the original Daito-ryu forms remained in his art, his way of thinking and way of moving the body were very different. My aikido and Ueshiba Sensei’s aikido are quite different. 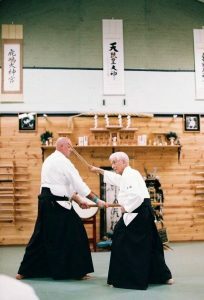 The techniques of Tomiki Sensei, Shioda Sensei, and Saito Sensei are all different. There is nothing wrong with this. Since aikido is formless, we move according to how we feel. However, we must do this without forgetting the spirit of budo in ourselves. We must practice, but not let our techniques turn into an aiki dance. It may be okay if we “dance” at the beginning, but gradually, it has to become an expression of budo. Ueshiba Sensei expressed aikido in a budo way. Religious people express aiki in religious terms. Aiki is expressed by singers in songs, and artists in their art. Aiki pervades everything. We merely express things which unite us with the universe. I think this is as it should be. [yamabiko] is kotodama, and of course it also refers to aikido. If you say, “Ya-ho” [a mountain call used to produce an echo] and you hear “ya-ho” echoing back, this is called yamabiko. This is kotodama. There are a great many poems entitled “Yamabiko no Michi” which refer to the fact that your mind and your partner’s mind are in mutual communication. I am proposing to Doshu that he proceed one step further in conjunction with the one hundredth anniversary of the Founder’s birth, and write about his state of mind. Otherwise, the essence of aikido cannot be understood. When we demonstrate techniques in the dojo, we should explain that this is kotodama. We have to show ki in realistic terms. We have to show that this is not a budo of competition. It is the echo of ki which precedes the emergence of sounds. Sounds are the next stage. Kotodama comes first, and preceding it, there is ki. Ki changes into many forms. It becomes sound, light, and kokyu. When two sources of ki combine, this results in kokyu. While breathing, it becomes sound, light, kotodama, and many other things. Then it becomes hibiki [echoes], that is, the seventy-five sounds. Subtle changes of hibiki become the mystery of creation. First, there was the word and the word was God—this is kotodama and also aiki. intend to become instructors. Then they can become soft gradually. Being soft from the beginning is also worthwhile because, if you cause young people to train hard, some may give up aikido. In this respect, soft training has some merit. This type of training should include the mind. Unless the training is severe, you can’t reach that level. 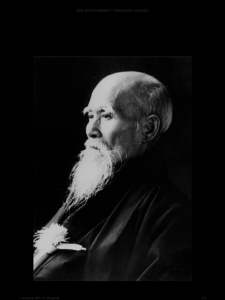 The reason Ueshiba Sensei reached that level was due not only to his natural talent, but also to the fact that he engaged in severe training. time. When we reach the final stage, when fighting is considered evil, a different, aikido-like world will be born. Neither Christ nor Buddha taught this. As times change, various great wise men, whom we call messengers, are sent in turn to reform mankind. I think that this is a truly wonderful love. Although the wicked sons of the earth are absorbed in killing one another, heavenly messengers continue to come to the earth to lend a helping hand. I think this shows the true love of the kami. The purpose of the birth of people in this world is to realize the love of the kami in this world. Ueshiba Sensei said clearly that human beings are “the children of the kami, the living shrine of the kami. Human beings by nature occupy a small space.” Everything is contained in these words. It is written simply and concisely in the Dobun. If you have trained sufficiently, you will understand it as soon as you read it. If you read only the words, you will be confused. We read them repeatedly, and gradually we understand what it was he said. Today’s aikido is dimensionless. It’s empty of content. Now we see nothing but imitation, without any grasp of the real thing. People try to reach the highest levels without even paying their dues. That’s why it seems so much like a dance these days. 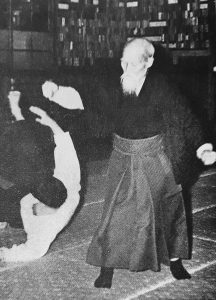 Ueshiba Sensei was the only one who could do that sort of soft, fluffy movement. You have to master the basics solidly, with your body, and then proceed to develop to the higher levels. A big demonstration is held every year at the Budokan [in central Tokyo], but it’s really not much more than a pre-arranged display. Don’t you think that if things continue in this direction, aikido will become just some kind of dance? There’s nothing wrong with a dojo being considered a place for healthy exercise, but from the point of view of budo, it seems that a little something is lacking. O-Sensei was an astonishing person, that’s for sure! However, without doing some sort of spiritual training, no one can ever hope to become like him. People who are training today may well be folding their hands before the kamisama, but few are practicing Zen meditation. Therefore, they cannot hope to become divinely inspired as O-Sensei did. That’s why we make progress to a certain point, but then find ourselves running into a wall. nowadays have an acceptable level of strength. O-Sensei died, and gradually the people who were uchideshi are also passing from the scene. Those qualified to teach are becoming fewer and fewer. Of course, there are some wonderful teachers now, too. People like Saito, Shioda, and Shirata are really strong. concentrated glare on you, are you going to fall over? I doubt it! he fell of his own accord. I am able to grasp his mind, his intention, the instant it manifests itself. name incorporates this meaning), but for the sake of clarity, I added Shin Shin Toitsu. I seize my partner at the exact moment he grabs. That’s the point I’ve reached. In terms of body movement, it is enough to avoid the opponent’s strike. It is not necessary to move the attacking hand. When my partner grabs, he himself ends up being grabbed. When my partner touches me, I move to the inside faster than him. Your own feeling must flow at this point. Your power will pour forth just at the time you extend your ki naturally. The power has already gone there when you extend your ki to encourage his attack. I leave everything to this power. We become as one body when I suddenly stop the flow of my power and have completely entered to the inside of my partner. I become the center, and after I have moved in close to him, I can cause my partner to move freely. superficially of speed, which involved collisions when I was still immature. But I understood that it was not at all the case when I discovered kokyu power. As soon as he grabs me, I enter to his inside. I become the center and become as one with my partner, and am completely bound up with him. When this happens, techniques freely emerge. You must not act using unnecessary power. You rely on the point of contact with your partner. If you do this, other kinds of power are naturally eliminated. It is a matter of feeling. It is not a matter of the mechanics of the technique. aikido technique is limitless, and those who truly master the Way can transmit it. I think that one will not be able to comprehend Ueshiba’s Sensei true mind without practicing aikido with a clear understanding of this. By transmitting only unchanged form, you are led in a direction which is contrary to Sensei’s thought. Your techniques become one if you study the spiritual aspect of Morihei Ueshiba Sensei. You have to create techniques which unite you and your opponent. If you are not able to achieve this, you should not use the expression “Aiki is love,” in an ideologically sense. that spiritual matters are separate. the spirit of Morihei Ueshiba Sensei. The true world of harmony will be created through aikido, after the barriers have been overcome, when all human beings come to a realization of how wonderful aikido is. I think that this was the mission of Morihei Ueshiba Sensei. It was difficult for O-Sensei to cause the flower of aikido to bloom and bear fruit. However, if Sensei hadn’t created the seeds, the Way of aikido would not have been transmitted. We students should assimilate the seeds, grasp the goal, so to speak, and decide what flowers should be made to bloom, what fruit should be allowed to ripen. If you wish to pursue the path of injuring and beating your opponent, something other than aikido will be best. There are many other arts for this purpose. Unless this is truly understood by practitioners of aikido, the art may end up being unfavorably criticized. After the war the founders thinking about Budo had changed radically. And the way he related to people also changed. His fierce gaze had become more tender. One felt more like getting closer to him. It was as you see in photos taken in his old age. His eyes were still strict, but they were no longer so scary. After the war the method of practice was the opposite of what it had been. We no longer attacked. We looked at our partners’ ki in order to see the whole of them. From the top of their head to the tips of their toes. Not just external appearances. We needed to become able to absorb our partners’ minds. Training this way was more difficult. We couldn’t wait for a partner to attack. We had to have the ability to instantly perceive the partner’s suki (openings) and intent to attack.Where will they strike? How will they move? We had to train to cultivate these sensing abilities in ourselves. Now all the techniques I teach are those of the postwar period. They are the true waza of O-Sensei’s Aikido. If we look at our partners, our hearts will be taken by them. Never look in their eyes. If we look in our partners’ eyes, our minds will be snatched away by their eyes. If we look at our opponent’s weapon, our ki will be stolen by that weapon. So, we must not stare at our partners. If we are always one with the universe, one with great nature, there is no space for the opponent to attack. When opponents do try to attack, we must not rely on form alone, but spontaneously create technique. In the old days, when the opponent attacked, we parried the blow and drove forward. After the war, things changed. The instant the opponent raised his arm to strike, even as he was raising his arm, we were already changing position. We had to act quickly. To do it well, we had to become one with nature and move without thinking. 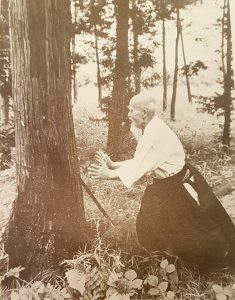 Another aspect of postwar Aikido was O-Sensei’s even greater emphasis on shinji for spiritual purification at the beginning of every practice session. He’d always begin with purification. So for your first three years in aikido you were only uke? Henry Kono – That was the concept. I used to ask, “I have been doing this for a year and I don’t know what the hell I’m doing.” They said, “Don’t worry Kono-san. Just take uke! It will come clear to you.” It was important to develop this body sensitivity and mobility. Because I’m learning exactly what you are doing. You are really becoming yin. You have to be soft. Then the center starts to develop. That’s the only way to develop it. http://www.aikidoyuishinkaiaustralia.com.au/wp-content/uploads/2016/03/Aikido-Yuishinkai-Australia-Logo-4.png 0 0 PeterK http://www.aikidoyuishinkaiaustralia.com.au/wp-content/uploads/2016/03/Aikido-Yuishinkai-Australia-Logo-4.png PeterK2017-05-25 23:39:312017-05-25 23:39:31That know the true heart, see the true self. There has been a big push recently on social media in Aikido circles, with many experts (some are, many are not) in the field asked to comment on various topics. One item in particular peaked my interest, specifically speaking of the martial aspect of Aikido. Those that know me know I have always pursued a martial understanding in my movements. I have trained this way since the beginning. I would not say that I was uninterested in the spirituality, on the contrary, I believe I have an understanding and grounding in spiritual philosophy, it’s just that I believed one could not be reached without training through the other. Just as Christians would argue that God gave us freewill to choose between right and wrong to test our spirit and resolve, I would say that the same philosophy applies to martial spirituality. While love is a great ideal, when in an altercation – “being tested”, it’s having the ability to produce a lethal response, then executing the choice not too – this shows the higher spiritual understanding. Anything in true harmony, and following true universal principles, is balanced through opposition. Light does not exist without darkness. The study of Aikido, truly harmonious Aikido studies both the lethal and non lethal in equal measure, then chooses, based on spiritual elevation, which path to pursue. If we look at the students that the founder produced(not the students that were products of the “organisation”) we see a group of students that were amazing martial artists, Shioda, Shirata, Saito, all products of the founder. All had to physically “prove their ability, and all believing that training hard, martially was imperative to any Aikidoka that aspired to teach. Maruyama sensei has said that the difficulty lay in transferring this mentality, the founder’s mentality to the west, where, when he asked people to train in a particular way, when he first started out in this endeavour to “spread the gospel” so to speak, was met with comments like “westerners don’t need to train that way”, as though we already knew better, or at least thought we did. What we ended up with was a group of people that believe they understand the founders intention, even though they never knew him, that are more than happy to tell you what he meant based on their Aiki experience, an intellectual experience, where the Aiki that the founder created was anything but an intellectual experience. Misogi Harai, purification through Tanren, forging the body was what his Aikido(and therefore all Aikido) was supposed to be. In his lectures, the amount of times he mentions physical austerity, or Shugyo(arduous physical testing) is actually quite the eye opener. 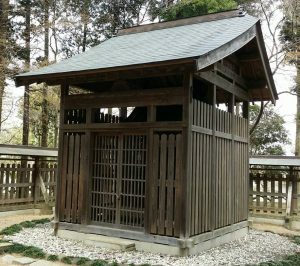 As philosophy developed in the west to be an intellectual pursuit, study of philosophical principles in Japan contained some element of movement. Shodo, Sado, Budo (and many other traditions) – all these “paths” have an element of perfection of movement. Through the perfection of movement comes the perfection of mind, an understanding of self devoid of intellectualism and fanciful thought. There is not a view of Aikido that is outside the founders teaching, most importantly his traditional teaching of setting an example that is worthy to be copied( the true meaning of shihan). Aikido is not philosophy. Training in Aikido brings an understanding of a certain type of philosophy, but the action and the learning cannot exist separate of each other – they compliment each other. There is no westernised softened version of what he created, if there is, it is no longer Aikido. How can it be? We didn’t make it, and we can’t pretend to follow it. If it changes then traditionally it becomes another art, call it what you like and name yourself “soke” – founder, just don’t pretend to offer solutions to things you can’t even begin to understand. To reconcile the world must begin through reconciliation of the self, the self, according to the founder only discovered through elimination of the ego. Hard work, sweat and introspection – then even harder work. We stand on the shoulders of martial Giants. To do what he could do, we need to do what he did. This is the traditional way. The student steals the teaching, the worthy inherit, the universe decides, not the “entitled”. Train the spirit through the body. Train the mind through overcoming the impossible.